Little Jingle Beans can make your child’s dream come true by having their favorite Arabian princess be a part of their party. 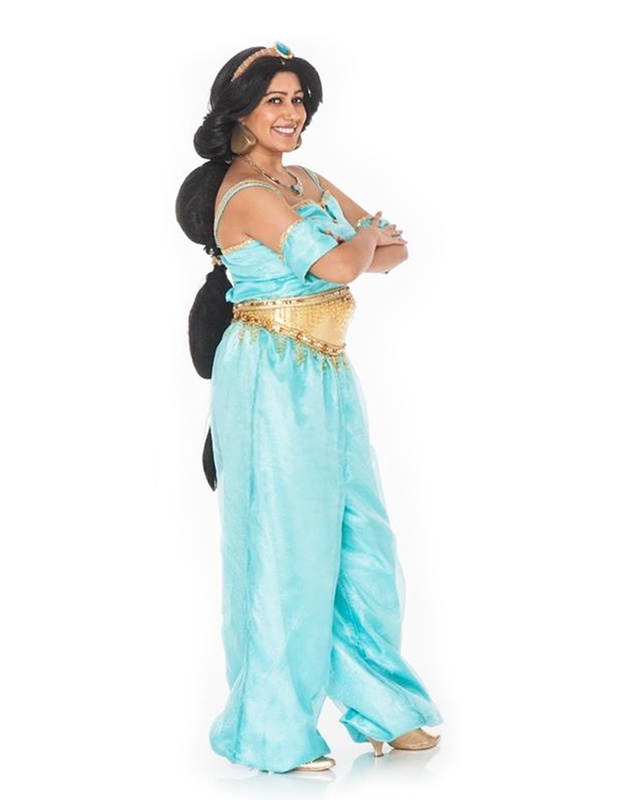 From Toronto to Burlington, our range of princess party packages allows you to mix and match and get exactly what you want for your perfect Arabian princess party. The Arabian Princess will arrive at your royal ball in all her splendid beauty, ready to greet the birthday girl or boy on their special day! The princess will share with your captivated guests her daring escape over the palace walls in disguise and meeting her prince in an epic adventure of finding “a whole new world”. She will bring along her magic lamp for a chance to unleash the Genie who will grant three wishes to his newest master. Watch the magic unfold as the Princess mesmerizes your guests with her exquisite voice. Singing two of her most beloved songs in an enchanting performance, she will transport your guests right into her charming tale. The Arabian Princess will arrive at your royal ball in all her splendid beauty, ready to meet and greet the birthday girl or boy on their special day! The Princess will want every royal party guest looking their best on this joyous occasion. From inside of her magical trunk, she will pull out attire fit for a King and Queen. Superhero capes and princess dresses will perfect this magnificent dress up extravaganza. Watch the magic unfold as the Arabian Princess mesmerizes your guests with her exquisite voice. Singing two of her most beloved songs in an enchanting performance, she will transport your guests right into her charming tale. Your little party goers will join the Princess in engaging interactive games such as hunting for magical jewels, Rajah says, dancing with ribbons and magic carpet rides … Prizes will be included for up to twenty guests. Your prince or princess will be crowned King or Queen of their royal ball and will be awarded their very own keepsake crown or tiara and an Official Certificate. There will be plenty of time after the ceremony for photos to capture the magic of your royal affair.